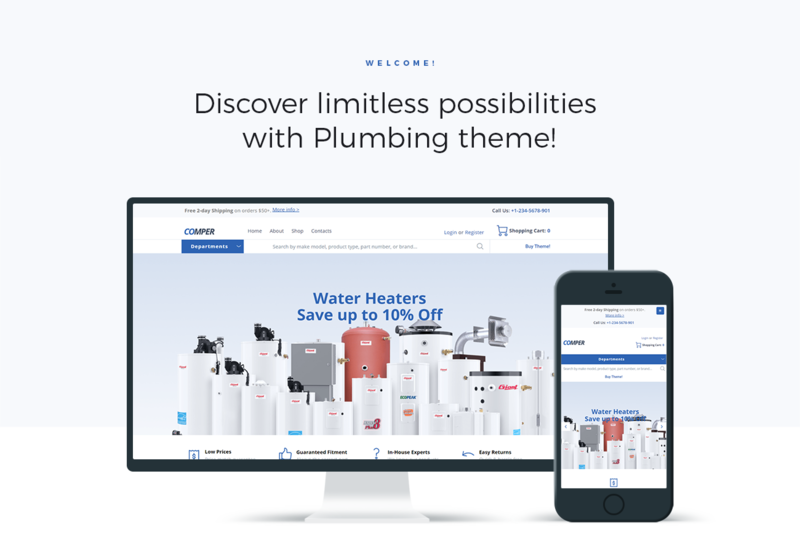 Your online shop specialized in plumbing products will become more competitive and professional with Comper theme. You will be able to present products by categories, inform about special offers, discounts and new arrivals in the most convenient and user-friendly way. Also, it will be possible to provide information about your store and contacts. You will customize your website according to your needs and taste using a powerful functionality of Comper theme. It includes a strong Jet plugins bundle for Elementor page builder, which will be useful by creating a website of your dream. With JetWooBuilder plugin you will create WooCommerce templates and showcase products and their taxonomy easily. JetProductGallery plugin will allow displaying product images in the form of a stylish gallery without any coding knowledge. Using JetMenu plugin you will create mega menus with drop-down sections and apply different style settings to them. You will add AJAX filters to the pages with products using JetSmartFilters plugin. Your eCommerce website will look engaging and modern thanks to a responsive Comper theme. Some of the forms included (like booking, registration, comment submission forms, etc.) may require extra scripts and/or database functionality. 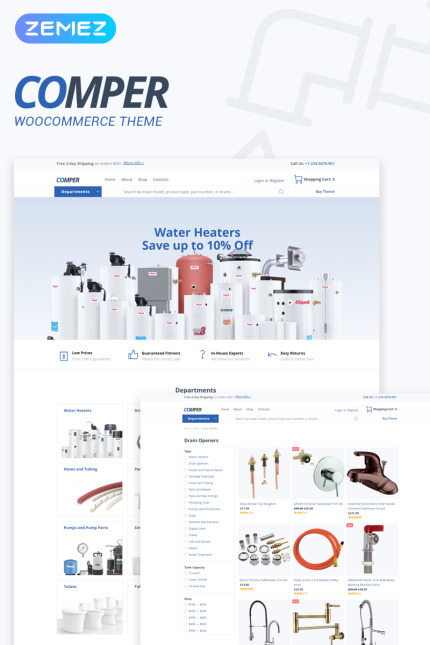 Each WooCommerce theme we offer here is a professionally done solution for an online store that will create the best user experience for your customers. We made sure these WooCommerce templates are visually appealing, perfectly functional and very easy to customize.